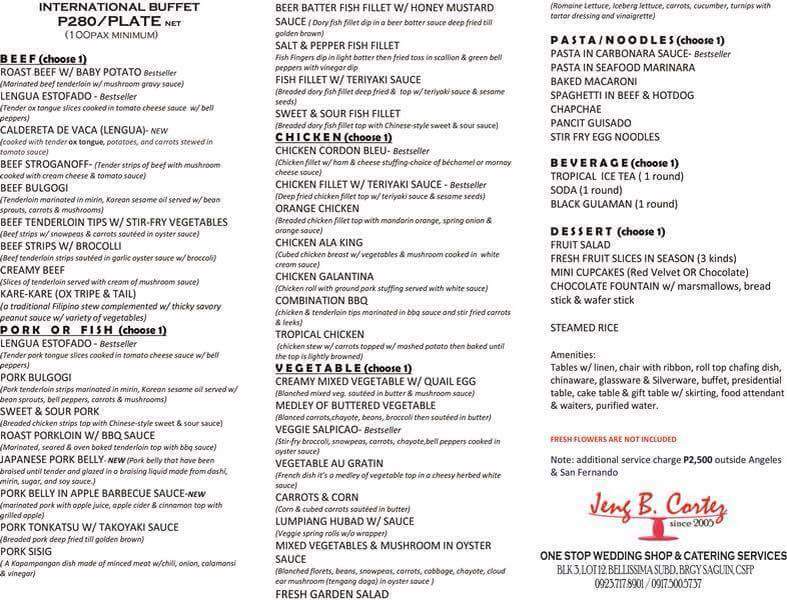 This has been an overdue post which I owe Miss Jeng Cortez for her catering service. I promised them a post on my blog which they definitely deserved. I want people to know more about them because their food catering and service was impeccably awesome. Food were really delicious and the staff were very nice, not to mention their very affordable selection of menu. It was one of the things that people remembered on our D-day where we got a lot of feedback that it was really delicious. My first encounter with them was when I tried their meal with my family during one of the birthday parties we attended. The party was just near our house and the host of the party had their food catered. I immediately liked everything that were served to us and asked some brief questions with one of their staff who gladly answered all my questions. I then asked for their calling card and dealt some transactions with the owner itself, Miss Jeng. To cut the story short, we chose them as our food service for our wedding. The way they set up our reception tables were nicely done. They really listened to what we wanted and how they turned it up on how we wanted the place and set-up to be. But of course, apart from the tables which was assigned to them, their wide and affordable choices of food was what we were grateful for. When I first saw their menu price list, I liked their wide range of food options. Plus they have an option for a lower amount for the plate. 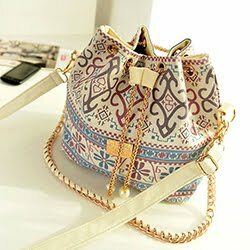 I opted for the P280.00 because we're also on a tight budget and we don't want to go over on what we can only afford. I also talked to Miss Jeng if we can take home the remaining food in case there will be some left and she gladly said yes for us. She also added an additional of 20 plate in exchange of this post that's why we're truly grateful for it. We saved P5600 on those additional plates. Their food were also truly delicious. I can totally attest to that. Here are some photos that will prove why people went for a second plate after finishing their first. Too bad I wasn't able to finish my own plate during the wedding because things were happening too fast! Even the photographer failed to take photos of the food wonderfully because everything was a complete rush. 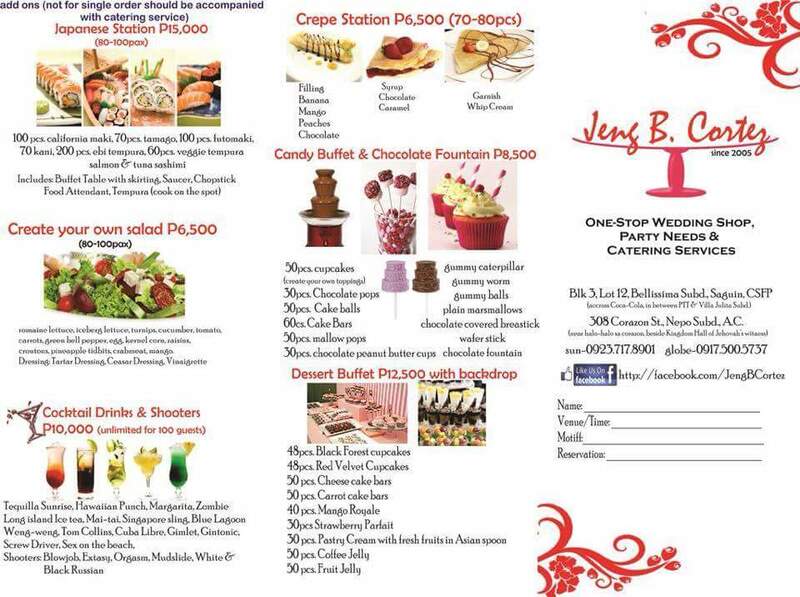 Anyway, in case you wanted to try their food and service, you can contact Miss Jeng directly on her FB page here. She will gladly assist you with your inquiries. One thing I also like about her is that she friendly answers all queries with respect and patience. Try her once and I am pretty sure you will be pleased! To Miss Jeng, thanks again for extending your wonderful service with us. Rest assured, we will be talking about you more with the people we meet in the future and if ever they need some service like yours, you will be greatly and highly recommended. This all looks SOO good!! Seriously craving so much of this for lunch now!! They weren't actually shot good but these tasted delicious. This looks really great for catering food! PHP280 is so sulit especially on your choice of food. Now I'm craving.Also it's nice that they are hearing out what their customer wants. BTW, congrats on your wedding! Im drooling over the Salpicao and Chicken Cordon Bleu! That must be super delicious by just looking at the pictures. I feel like it was cooked to perfection.. Congratulations on ur wedding by the way.. Thank you. Everything's really delicious I swear. Too bad they can only deliver here in Pampanga. But I'm sure in the future they'll have more customers. Their menu looks good! I'm curious how their roast beef tasted because you said it's the best you tasted! Hehe! It's really soft and flavorful. Their best seller for beef. My MIL do not usually eat beef but she liked this one. It only reflects their good cooking. Love the roast beef I'm telling you. 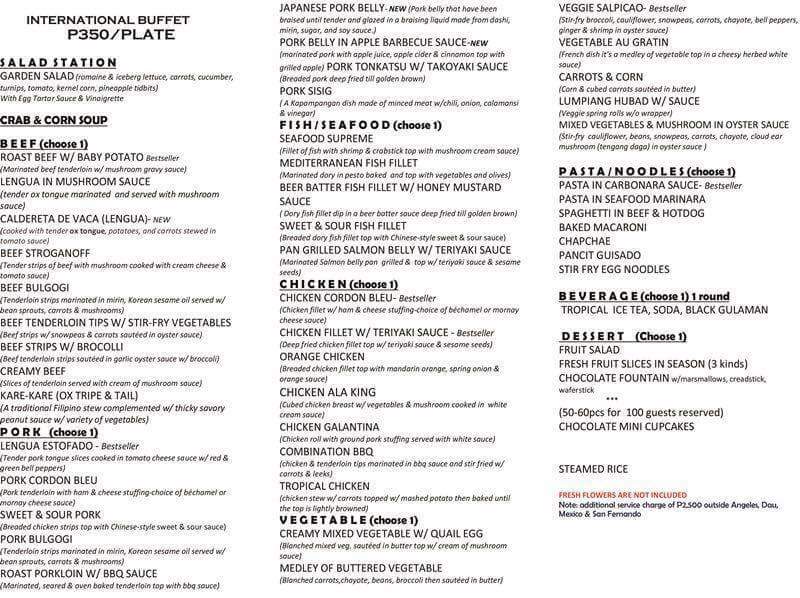 Wow, 280php per plate is not bad at all, very affordable actually! Glad that there are still reliable caterers out there who don't overcharge or take advantage of people! Recommendation deserved indeed! True! Trying to recommend it to more people here. Catering is truly good business. You need it in many special occasions in life. Thanks for the recommendation! I actually want to do a business too in catering but I don't have a budget for now and I think I need to learn cooking more. It's really affordable. This is a big help especially if you're in a tight budget. Wow. That's a lot of food choices. I bet you had a hard time choosing which menu gets to be served. The price is also very reasonable. Which areas do they cater by the way? They cater here in Pampanga. They cater at Pampanga though. If you're from here, go! I definitely recommend them. Food is really important when it comes to wedding. Most of the people aren’t completely involved in it and so the food helps them stay and have a good time. I love food and I make sure it is perfect to eat. Therefore, I am glad to find this because my brother is getting married next month in one of the finest New York venues. Ah! This makes me happy.